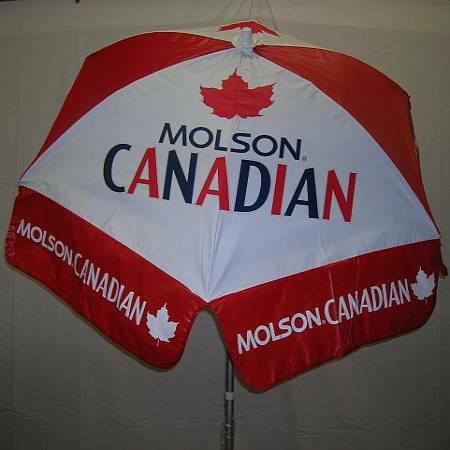 Each umbrella is made with a heavy duty PVC vinyl canopy with welded seams. 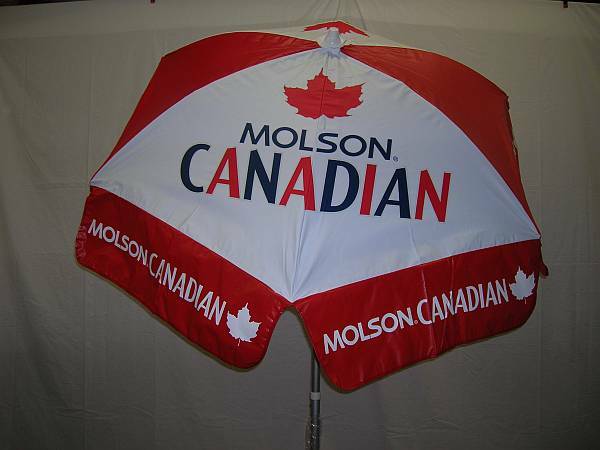 Patio & Beach Beer Umbrellas are 6 foot, 6 rib, and manual push-up aluminum umbrellas made with a two part frame and a push-button tilt. Each umbrella comes with 3 pole choices- Standard , Bar Height , or Pointed Pole for use at your favorite beach or patio.